Pit crew wanted.... well not exactly but some help in the pits are required. Details of the race series is on the CSSC site here. in short though, the races are 40 minutes long with a mandatory driver change during a pit stop "window" and as both of us are driving, we will need someone to co-ordinate the pit stop timing, hold out the pit board, time the stop as there is a minimum time limit and then see the car safely out of its pit stall. Its not F1 so its pretty relaxed although fumbling with harness buckles etc will mean general panic but the other driver should be able to help with that, but you will need to be aware of the dangers of being in a live pit lane and, most importantly, be reliable and will turn up. What do you get in return? not much really, but we will give you a free ticket to the events, feed you (track food only or whatever's available) and offer the chance to be involved in all the excitement of a race day. Lots of other racing will be on the same day including (for the first event anyway) modern classics, Jaguar sports and Gts and tin tops. 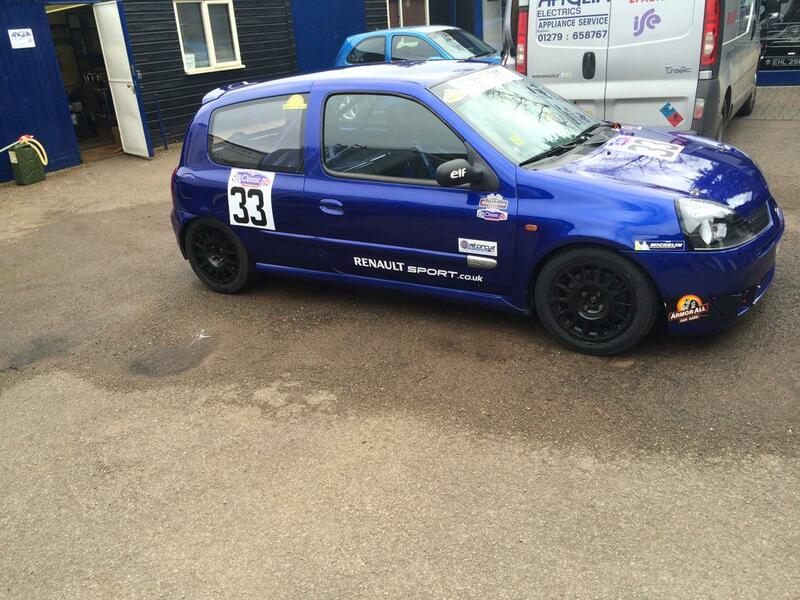 First race is Saturday April 11th at Snetterton and you probably wont need to be there until mid morning unless you want to, there is always wheel changing, cleaning and other stuff to do so we can keep you busy. As I said, its not F1, it may be wet and cold but hopefully it will be a fun and interesting experience which is the reason I do it. provisional further dates are at Brands Hatch, Rockingham and Mallory Park. Don't know for sure what ones we will be doing as yet but will keep you updated. form an orderly queue please........ first come first served basis. Anyhow, testing at Snetterton on Thursday, 26th March if anyone wants to pop down and polish the newly fitted headlights. Have spare tickets available (weekend ones) in anyone wants them (and will show up!). Modern Classics, furture Classics, Caterhams, Morgan and Jaguar races all on the bill. I guess its all good experience but will give the next Silverstone round a miss and be back out at Brands Hatch end of May and hope there will be some comparable cars to have fun with. must admit did not know this video was out there, but here it is, our pitstop in all its glory! Have 2 spare tickets for Brands Hatch this Sunday, 31st May if anyone interested. let me know asap to get in the post. Usual conditions apply, don't ask if you cannot come and you may need to help out even if its only lugging stuff from the paddock to pit. Our race is at 16.00 with practice qualifying at 11.20. Modern classics, Jaguars, tin tops and caterham races are on the same day. Great race, Riku doing all the driving this time, wet practice = 9th spot on the grid out of 32 cars! Ran as high as 5th on drying track before doing our mandatory pitstop which went well but he was stuck at the pit exit road after the TVR infront broke down and blocked the exit. Result? lost 1 lap over the lap we expected to loose so now 2 laps down on the leader and plummeted to 23rd place. However, a spirited fight back through the field and finished in 14th place. this is from a Mazda RX8 that finished the race in 3rd but could not get past our Clio. Really, we should have let him by but he said there were no blue flags and the other driver even stopped to congratulate him at the end. Worth watching the whole 40 mins but the excitement starts after the safety car and pit stop (at around 8 minutes) which the Mazda got away with by pitting a lap later than we did and was not held nearly so long. And from 28 minutes long the overtaking is amazing, including taking 2 cars together in Paddock. 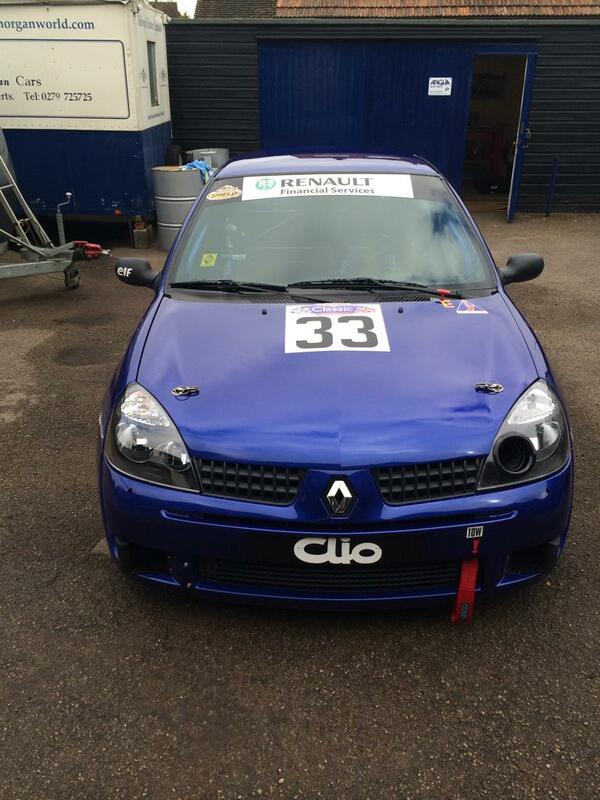 We are racing at Mallory Park on Saturday, August 1st. I have 1 spare ticket which I can post out on Monday if anyone interested in coming along. Special saloons, Modsports, modern classics and tin tops also on the Saturday bill. Only just watched the Brands highlights.. Best half hours watching I've had in ages Thank you for posting, I look forward to more. Would be interested in the spare ticket. Mallory not too far from me but never been before! Do you still need help in the Pits or are you fully manned now?